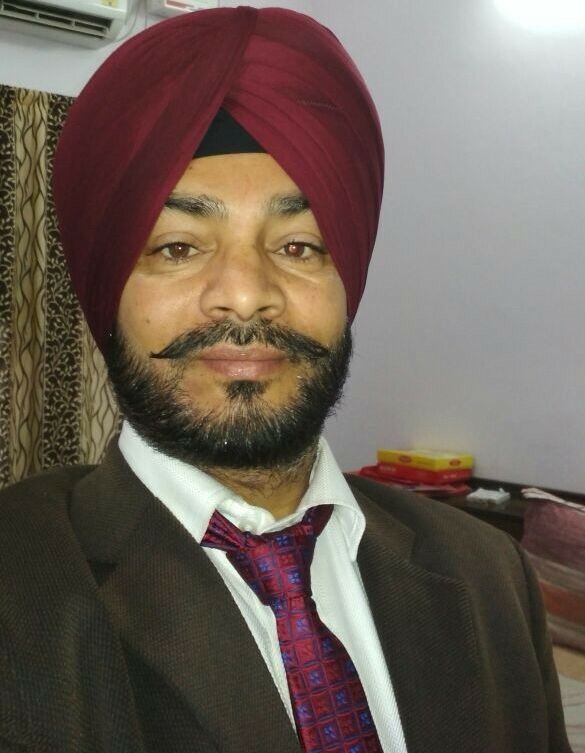 Biography: Dr. Kuldip Singh, M.Sc. & Ph. D. in Biochemistry from Panjab University Chandigarh, having more than 19 years of professional experience at various capacities like Demonstrator at Postgraduate Institute of Medical Research- Chandigarh, Lecturer, Senior Lecturer, Assistant Professor, Associate Professor and Professor in Biochemistry Department at Govt. Medical College- Amritsar and Govt. Medical College- Patiala. He published 60 research papers in various National & International Medical Indexed repute Journals; published three books and presented many research papers at various National & International conferences. Dr. Singh is a Editor/ Academic Editor/Associate Editor/Editorial Board Member of various National & International Journal like International Research Journal of Biochemistry and Biotechnology; International Journal of Clinical Chemistry and Laboratory Medicine; International Journal of Research in Medical and Basic Sciences; Journal of Toxicology Research; Diabetes & Obesity International Journal [USA]; Member of Editorial Board of “Medical Biochemistry Journal; International Journal of Toxicology and Environment Health; International Journal of Science and Research Methodology; Journal Oxidant and Antioxidants in Medical Science (Turkey); SM Journal of Cardiovascular Disorders (USA) etc. and he is also a life member of various scientific societies such as Society of Free Radical Research –India; Society of Toxicology –India; Association of Clinical Biochemists of India; India Association of Biomedical Scientists; Society of Biological Chemists-India; Society of Biological Scientists-India and Punjab Academy of Sciences –India etc. Dr. Singh has reviewed more than fifty research papers for various National & International Medical Indexed Journals like Toxicology Report- Elsevier [USA], Toxicology Mechanisms & Methods- Elsevier [USA], International Toxicology, Journal of Food Science and Technology- Springer, J. Exper. & Integrative Medicine.- Turkey- Elsevier, Oxidants and Antioxidants in Medical Sci. – Elsevier, Advances in Biochemistry, Basic Res. J. of Medicine & Clinical Sci., J. of Microbiology and Antimicrobials, J. of Neuroscience & Behavioral Health, Inter. J of Biochem. Res. & Rev, Indian Journal of Clinical Biochemistry, Biomedical International Journal etc. and Dr. Has guided many Postgraduate (M.Sc. & M.D.) students for their thesis research work. 1. Kuldip Singh (2018). Correlation of serum lipids, lipoproteins and homocysteine Levels in hypothyroid patients of North - West India. Inter. J. Scientific. Res. 7(10): 597-499. 2. Kuldip Singh, Garima S and Kaur A (2018). Assessment of serum luteinizing hormone, follicle-stimulating hormone and prolactin levels in postmenopausal women from tertiary care hospitals of Punjab. Inter. J. Scientific. Res. 7(2): 563-565. 3. Kuldip Singh, Kaur A, Kaur K and Kaur M (2018). Studies on serum thyroid profile in premenopausal and postmenopausal women from tertiary care hospitals of Punjab. Inter. J. Scientific. Res. 7(1): 648-649. 4. Neki NS, Kumar NM, Kuldip Singh, Aloona S, Singh A, Singh G, Joshi N, Vaid A, Kaushal D, Dhanju AS, Jithesh G, Bhardwaj G, Sharma BR. (2017). Change in HbA1c Level with treatment of iron deficiency anaemia in non diabetic patients. Inter. J. Curr. Res. Biol. & Med. 2(11): 35-41. 5. Kuldip Singh and Amandeep K (2017). Assessment of serum lipid and lipoprotein levels in postmenopausal women from tertiary care hospitals of Punjab. Biomedicine. 37(3): 365-368. 6. Gurpreet Singh and Kuldip Singh (2017). Prevalence of anaemia in urban college going girl students. Biomedical Res. 28 (3): 1040-1042. 8. Kuldip Singh and Gurpreet Singh (2017). Alterations in some oxidative stress markers in diabetic nephropathy. J. Cardiovasc. Dis. Res. 8 (1): 24-27 [USA]. 9. Arvind Preet Kaur, Kuldip Singh and Ramandeep Kaur (2017). Evaluation of Antioxidant and Antimicrobial Activity of Syzygium cumin Leaves. Int. J. Curr. Microbiol. App. Sci. 6(2): 215-222. 10. Kuldip Singh and Gurpreet Singh (2016). Impact of microalbuminuria on certain antioxidant enzymes in diabetic patients. Biomedicine. 36(3): 74- 83. 11. Kuldip Singh and Sukhjit Kaur (2015). Impact on malondialdehyde and superoxide dismutase in smokers of north Indian Punjabi population. Inter. J Health Sci. & Res. 5(5): 184- 189. 12. Kuldip Singh, Sukhjit Kaur and Rajiv Arora (2015). Status of certain oxidative stress markers in ischemic heart disease patients with and without smoking in north Indian Punjabi population. British. Biomed. Bull. 5(3): 225-231. 13. Kuldip Singh and Saranpal Singh. (2015). Impact of Obesity on Malondialdehyde and Certain Antioxidants in North Indian Obese Punjabi Population. Res. J. Pharm. Biol. & Chem. Sci. 6(4): 1383-1389. 14. Kuldip Singh and Saranpal Singh (2015). Comparative Study on Malondialdehyde and Certain Antioxidants in North West obese Indians. J Cardiovas. Des. Res. 6(3): 140-146 [USA]..
15. Kuldip Singh and Sukhjit K (2015). Impact on Some Antioxidant Enzymes and Vitamins in Obese Adolescents of North West Indians. Toxicol. Inter. 22(2): 97-102. 17. Rajiv A, Singh M and Kuldip Singh (2013). Once a week rosuvastatin –a therapeutic option. Indian J. Cardio Res 16: 15-22. 18. Kuldip Singh (2013). Evaluation and interpretation of biomarkers of liver diseases. – Review Article. Inter J Res Health Sci. 1(3): 22-33. 19. Kuldip Singh (2013). Alterations in serum glutathione as a marker of oxidative stress in smokers. Inter J. Med. Sci. 6(1&2): 29 - 34. 20. Kuldip Singh and Arvind Preet Kaur (2013). Physiological and pathological role of reactive oxygen species- Review Article. Inter J. Med. Sci. 6(1): 31-48. 21. Kuldip Singh and Saranpal Singh (2013). Effect of hypothyroidism on serum malondialdehyde and lipid levels. British Biomed. Bul. 1(2): 126-130.